New Delhi - The government on Wednesday deferred a decision on its stake sale in three PSUs -- ONGC, Coal India and NHPC as Finance Minister Arun Jaitley was not in town. The Cabinet Committee on Economic Affairs did not take up the disinvestment proposals as the minister concerned was not present, Law Minister Ravi Shankar Prasad told reporters here after the CCEA meeting. As per estimates, disinvestment in the three PSUs could yield the exchequer over Rs 40,000 crore, enough to meet the target for the current fiscal. Government-run hydro power producer NHPC Ltd has confirmed its decision to slash its capital expenditure plan for the current Five-Year (2012-17) Plan by 31 per cent. The power producer said that it decided to spend Rs 20,000 crore on increasing its capacity during the five year plan period ending in March 2017, as against previously planned Rs 29,000 crore. A senior executive from NHPC said that the company was concerned over the delays in the ongoing projects. The Comptroller & Auditor General of India (CAG) has condemned four central public sector undertakings (PSUs), including NHPC Limited, for the inordinate delay in planning and execution of hydropower projects that cost the taxpayers more than fourteen thousand crore. The national auditor noted in his report that NHPC Ltd, SJVN Ltd, THDC India Ltd and NEEPC Ltd in delayed planning and execution of 16 hydropower projects, which led to cost overruns 53per cent to 148 per cent to Rs 14,707 crore. Mumbai, Aug 10 : State-run hydropower company NHPC Wednesday reported a 47.19 percent increase in net profit in the first quarter of the current fiscal at Rs. 791.05 crore as against Rs. 537.42 crore in the like period of 2010-11. "Company has posted a net profit of Rs. 7,910.50 million for the quarter ended June 30, 2011 as compared to Rs. 5,374.20 million for the quarter ended June 30, 2010," NHPC said in a regulatory filing to the Bombay Stock Exchange (BSE). State-run hydro power generator NHPC has declared its financial results for the first quarter the fiscal year 2010-11. According to the company, it has registered a marginal 7% rise in the net profit figure in the quarter under review. NHPC is the largest hydro producing company of the country. It has an installed capacity of 5,295 MW in India. NHPC has posted a net profit of Rs 537.42 crore for the quarter that ended in 30th June, 2010. Technical Analyst Rajesh Tambe of Sunchan Securities has maintained 'buy' rating on NHPC stock to achieve a long term target. According to Mr. Rajesh, interested traders can purchase the stock on declines. Today, the shares of the company opened at Rs 30.10 on the Bombay Stock Exchange (BSE). The share price has seen a 52-week high of Rs 39.75 and a low of Rs 29.60 on BSE. The company, on April 29, inked MoU with Satluj Jal Vidyut Nigam Ltd (SJVN) and Govt of Manipur for execution of 1500 MW Tipaimukh Hydroelectric. NHPC is a hydroelectric power generating company dedicated to the planning, development and implementation of an integrated and efficient network of hydroelectric projects in India. The company executes all facets of the development of hydroelectric projects, from concept to commissioning. 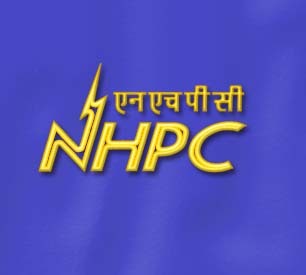 NHPC Limited, a Mini-Ratna Category-I public sector undertaking and hydroelectric power generating company, has decided to hit the primary market on August 7. State-run hydel power company has fixed the price band between Rs 30 and Rs 36 per equity share for its initial public offering (IPO) of 1,67,73,014 equity share of Rs 10 each for cash at a price to be decided through a 100 per cent book-building process. The issue will constitute 13.64 per cent of the post-issue capital of NHPC. State-owned NHPC, a hydroelectric power generating company, is entering the market with an initial public offer (IPO) on August 7, 2009. The company plans to raise nearly Rs 6,000 crore through sale of shares in a price-band of Rs 30-36 in an IPO (initial public offer). NHPC Limited, a Mini Ratna (Category I) Central Government Public Sector Unit is dedicated to the planning, development and implementation of an integrated and efficient network of hydroelectric projects in India. The UPA government is set to kick off its first disinvestment program as public sector Company NHPC has announced to float IPO at a price of Rs30-36 on August 7. The company aims to collect Rs 6,048 crore from the offering to be closed on 11 August. NHPC Chairman and Managing Director, S K Garg said, "We have decided a price band of Rs30-36 for the IPO." The move will reduce government's equity in the state owned firm to 86.36% that may have valuation of Rs 44,000 crore. NTPC will sell 168 crore shares and amount will be used to carry out its brown field expansion plans. Gangtok, July 19 : The Central Government has asked the Sikkim Government to withhold the six hydel projects in the state. Union Ministry of Environment and Forest has refused to give environment clearance to these hydel projects. According to official sources, Sikkim was expected to get 1047 MW power from these projects. State-owned NHPC, a hydroelectric power generating company, is expected to come out with its initial public offer (IPO) next month. Under normal circumstances, the IPO is likely to hit market in the first week of August, tentatively 7th August. The public offer is expected to remain open for six days for subscription.